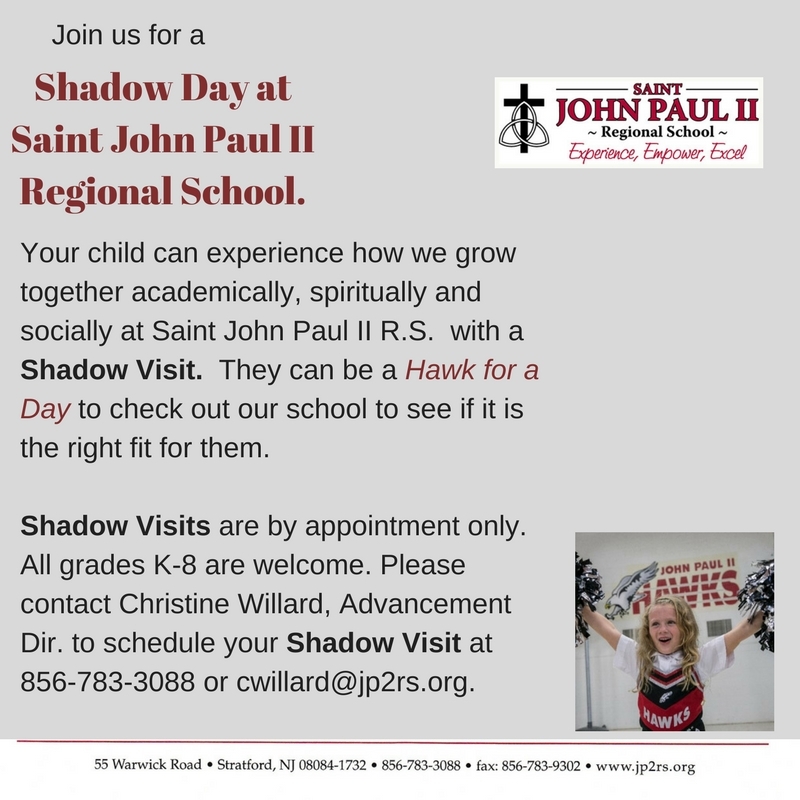 St. John Paul II Regional School is dedicated to Christian stewardship and academic excellence and empowers its diverse student body to achieve their academic potential in a faith based environment. It is our aspiration that through the collaboration of church, school and faculty, our students will lead lives rooted in Catholic Christian values and commitment to a better society. Call to set up a Shadow Day! Your child will love it! Come for a personal tour of our school Mon-Fri. Call 856-783-3088 to arrange a day that works for you! We are accepting Preschool-Gr 8 registrations for 2019-2020. Register here. Enjoy a daily 3-minute retreat by Loyola Press! The link above will take you to the website to experience a bit of quiet reflection and peace to start your day. Give your Kindergarten child the best educational foundation!